Embrace your rebellious side without getting that memo from HR. Sneakers have been a mainstay on the runways (and in real life) since the emergence of athletic chic. Since then, sky-high sandal-wearing fashion girls have turned to the sporty shoe to help keep them grounded. Still, there are some places, like your ultra-strict office, where wearing sneakers is considered a major no-no. But there are many ways to incorporate the laidback piece in your more formal outfits, and Kenneth Cole's latest Kampaign encourages this. 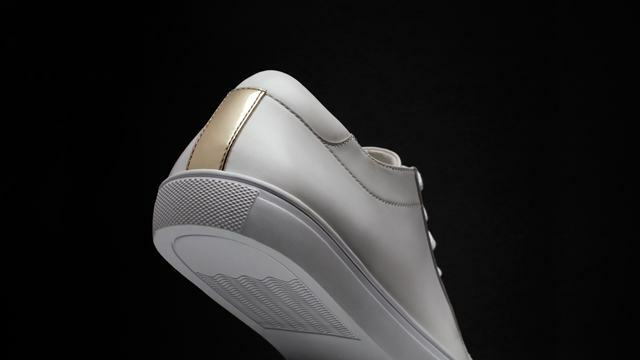 The heritage shoe line prides itself on being a bit rebellious, and it urges its patrons to follow in their footsteps via subtle acts of anarchy, like wearing your sneakers to the boardroom and beyond. Ready to start your own little rebellion? #BeCourageous, and let's get started! 1. A white sneaker is your best friend. Think of it as a blank canvas; a pair that's willing to transform to your every mood. 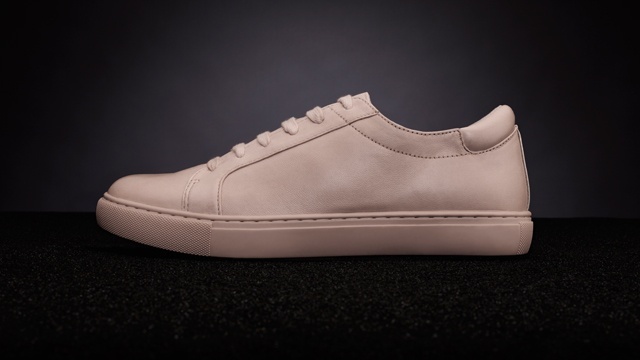 Instead of a rubber version, stick to leather for a dressier leather update. 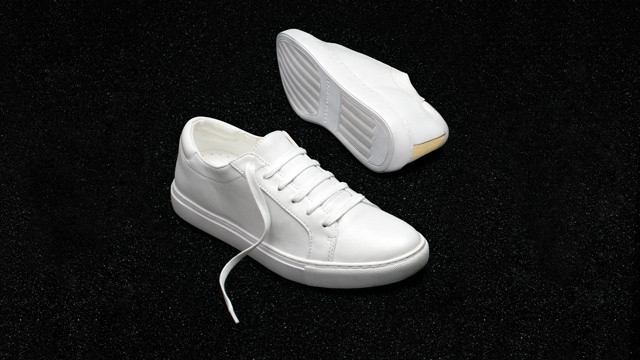 And the number one rule for wearing white kicks to the office: Keep them spotless! 2. Have an eye for detail. Instead of plain kicks, look out for details that up the ante of your footwear. 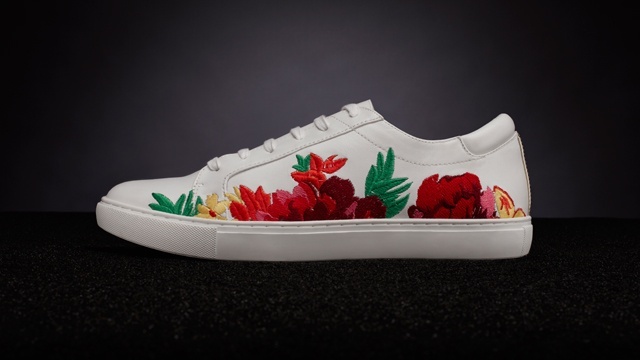 Embroidery, as shown on these sneakers, add a playful touch to an otherwise neutral shoe. 3. Add structure on top. With your feet going the causal route, it's best if you keep your upper half more polished. 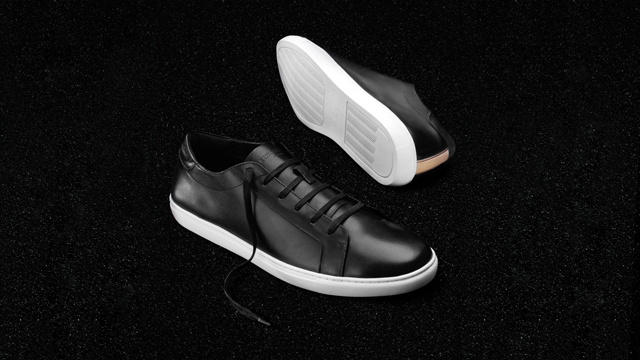 Don a blazer or a jacket to add structure and a dressier vibe to your sneakers. Okay, raise your hand if your office wardrobe consists of neutral-colored separates! Like most of us out there, drab office wear can get a healthy dose of pep with a little sheen. A subtle pop via your sneakers is the best way to add an interesting detail to your usual pantsuit. Leave your fluorescent sneaks at the gym! Keep your look sleek by choosing neutral-colored pairs to accent your outfits. 6. When in doubt, stick to monochromatic dressing. When all else fails and you're pressed for time, dress in one color (and make sure it's a neutral). Our favorite? The ever-so-timeless all-black outfit. Flattering on the figure and easy to dress up or down, fish out your black sneakers for this one for a more casual look. The Kenneth Cole KAM sneaker line is available at Power Plant Mall, Rockwell and Rustan's Makati. This article was created by Summit StoryLabs in partnership with Kenneth Cole.